Today for a growing number of homeowners in search of a cost-effective way to protect and upgrade their investment, vinyl siding is turning out to be the solution that they were looking for. We here at Tampa Exteriors specialize in vinyl siding and are currently recognized as one of the industry leaders in the area, with the cornerstone of our reputation built on an ironclad guarantee, expert craftsmanship and premium grade warrantied materials, and competitive pricing. Along with new installation we also offer expert vinyl siding repair for home and business owners who only need some touch-up and perhaps some dry rot or termite damage repair work done on an exterior that’s beginning to show its age. Often times it’s only one or more isolated areas that are the problem on a building, with the rest of the siding still having years of service life left on it. In cases like this our experts assess what needs to be done and then match the new siding with the existing for a uniform look when the job is competed. Today there’s a broad range of choices in colors and styles of vinyl siding, including classic cabin board, shingle and shake, clapboard siding and wood grain or smooth surface options. Then again they all have their own variations, with some of them such as clapboard having more than 10 different style types to choose from. There’s also a veritable rainbow of fade resistant color choices available now, as well as a broad range of popular design schemes that combine types and colors of vinyl siding. So there’s a lot to decide before the job begins and our design experts are ready to help in that area. Vinyl siding comes in two basic types, with one being insulated and the other being hollow back vinyl siding. The difference between the two is readily apparent, in that the insulated vinyl siding has a thick layer of foam insulation attached to the back of it, while hollow back is made from flat vinyl sheeting. Insulated vinyl siding costs more but that extra cost is offset by the energy savings it delivers. Insulated vinyl siding is more rigid as well, so it works well to smooth out slight imperfections like waves and recesses in a buildings wall. At the same time though, for those looking for up front savings, hollow back vinyl siding is substantially cheaper. Let us show you how you can kick-up the curb appeal, make your home or commercial building more maintenance-free and better protected from the elements, while you also increase its value with today’s far more durable and longer-lasting vinyl siding. Vinyl siding never needs to be painted and if it’s insulated it also works to keep your home more comfortable and affordable to live in. Our vinyl siding also comes with an extended manufacturer’s warranty that’s capped off by an ironclad guarantee on all workmanship after the job is completed. Vinyl siding has left aluminum siding behind as the most popular siding choice for homeowners today. There are many benefits to using vinyl siding on your home like attractiveness, durability, and affordability. The scope of colors and textures is amazing. Vinyl siding is manufactured from polyvinyl-chloride (PVC), which has a number of uses in the construction industry. It’s a simple material to work with and easily moldable. It’s a perfect material for vinyl because it merges durability, flexibility, and user-friendliness. Alside is a part of Associated-Materials, Inc. Their construction products are offered at over 90 supply centers throughout the country. In the home improvement industry, Alside is an established leader. The company is a member of the National Association of the Remodeling-Industry, the National Association of Home-Builders, the American Association of Architects, and the Vinyl Siding Institute. Some of their most well known siding collections, like the Charter Oak Line, is recognized and acknowledged as energy efficient. Another great product is Board & Batten, a vertically designed siding installed for powerful curb appeal. 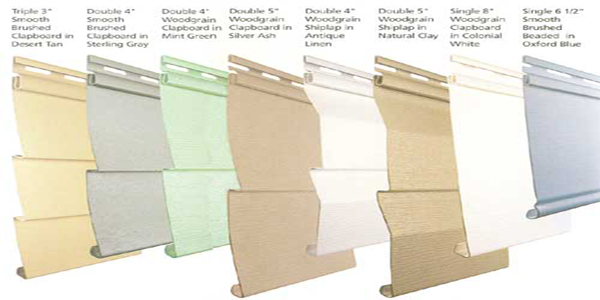 Alside long list of vinyl siding products are suitable for any type of home or budget. Georgia Pacific has all the vinyl siding and accessories a homeowner could dream of. They offer long-lasting exteriors that can endure all types of weather conditions together with rich, vibrant siding colors that never require painting or staining. Wholly distributed by BlueLinx with an elegant logistics-system supplying the entire US, the company offers the support that installers, builders, and homeowners require when they need prime access to quality siding choices. The largest manufacturer in North America of vinyl siding is CertainTeed. 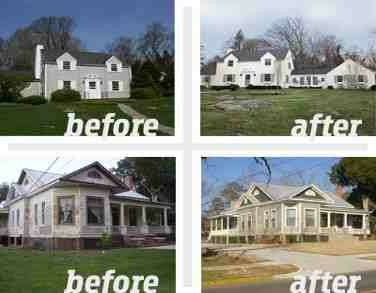 The company is recognized as having the largest assortment of vinyl siding styles and colors available. The majority of their siding collections are structured to withstand winds from 135 to 220 miles-per-hour. In addition, CertainTeed offers a choice of trim and soffits along with various other siding choices. Other leading vinyl siding brands include Crane, Timbercrest, Mitten, Kaycan, and Mastic, amongst others. When it comes time to work on your home, your contractor will discuss the different brands and recommend the perfect match for your home and budget. Some types of siding are designed to withstand damage from weather exposure, pests and other elements, but other types may be more prone to developing damaged areas. These damaged areas can be unsightly, and they can have a dramatic and detrimental impact on curb appeal and property value. More than that, damaged areas may allow moisture and pests to enter the home, and this can effectively result in even greater damage. Because of this, it is important that you contact Tampa Exteriors as soon as you notice that your home’s siding has become damaged. If you have a small area of damage on your siding, it may have crossed your mind to simply make the repair on your own. While many homeowners do enjoy tackling do-it-yourself projects, replacing the siding is generally not a project that you should complete on your own. The fact is that quality of the materials as well as the skill of the installers are vital to the on-going condition of the home. Furthermore, there are risks associated with completing the work on your own. For example, replacing siding located in an elevated position on the home requires you to work on a ladder, and there is a considerable risk of falling. If you only have a small area of damage, making an affordable repair as soon as possible is the best option. However, if you have other areas of damage on the siding, making an upgrade with a more durable type of siding may be beneficial. During a consultation, we will thoroughly inspect the exterior to determine if there are other areas of damage you may have overlooked. We can also provide you with an estimate for both a repair and a full replacement upon request. We are the #1 recognized leader in the greater Tampa area for vinyl siding installation and repairs and carry with us a rock-solid reputation for backing up all the work we do with an extended satisfaction guarantee on all workmanship and warranty on all materials. 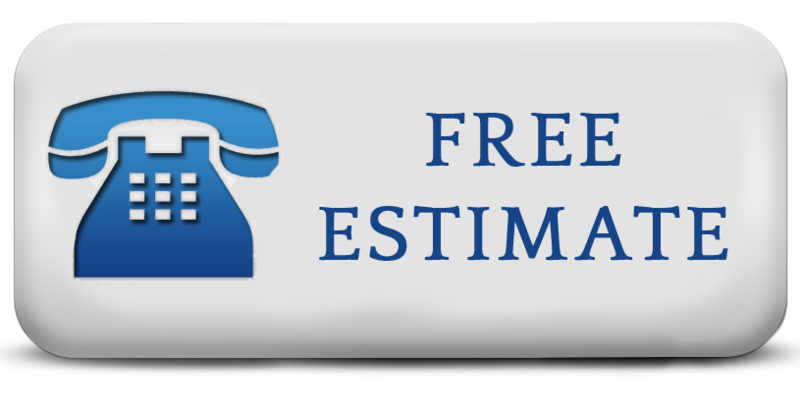 So now is the time to put your plans into action by filling out our contact form for a free, no obligation inspection and consultation by one of our vinyl siding experts.